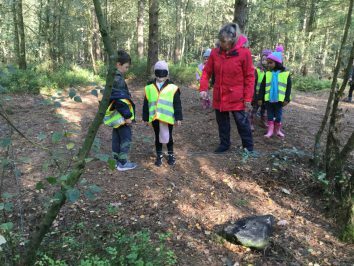 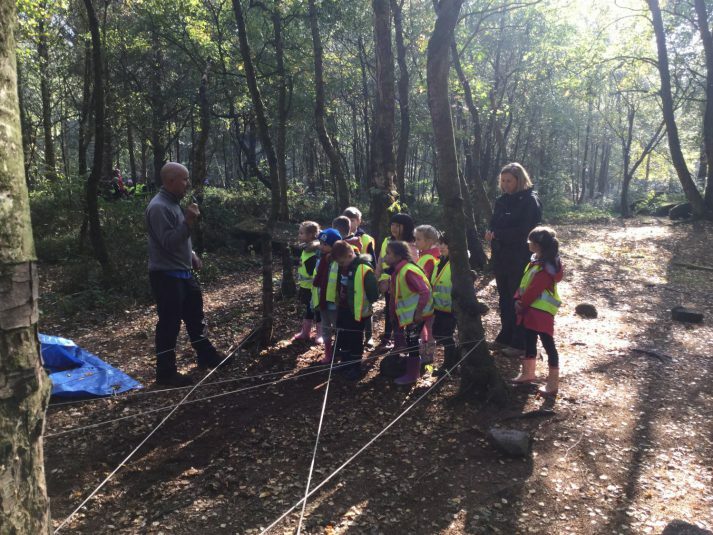 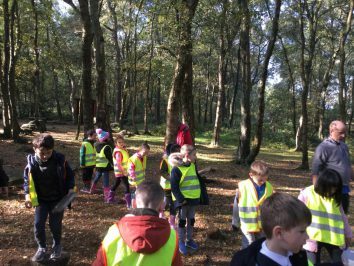 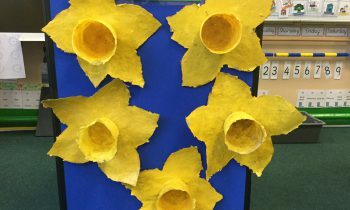 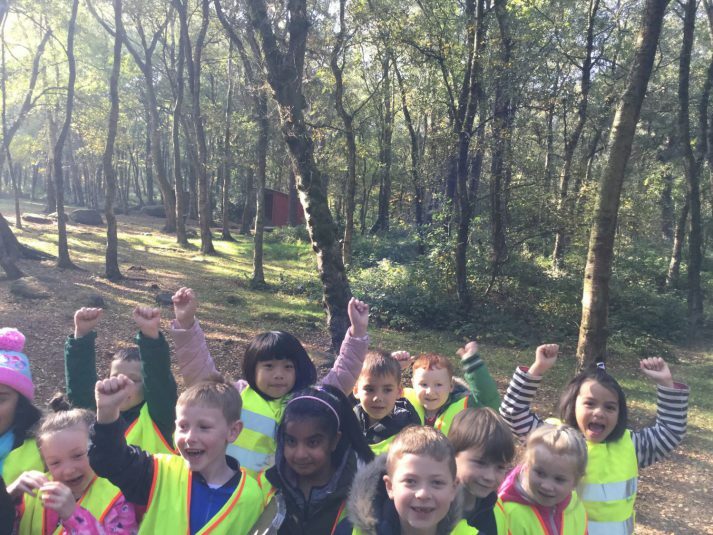 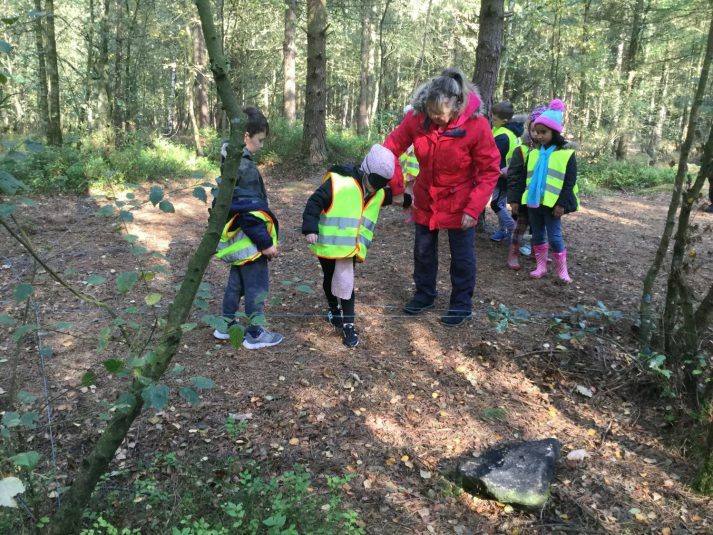 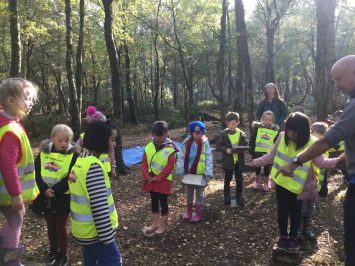 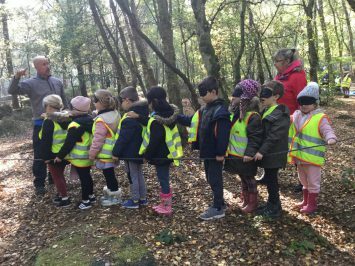 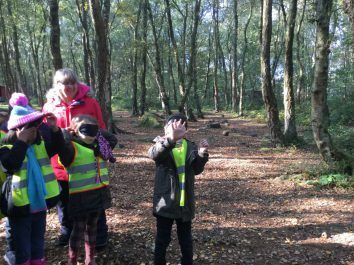 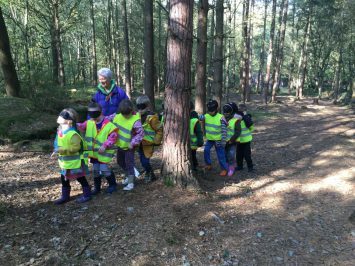 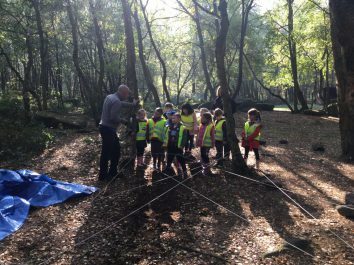 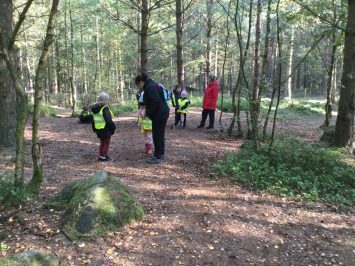 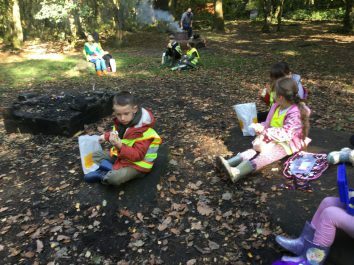 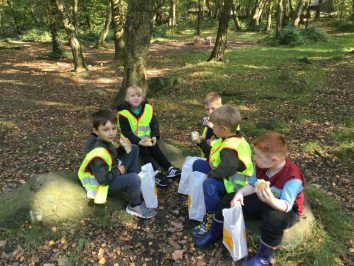 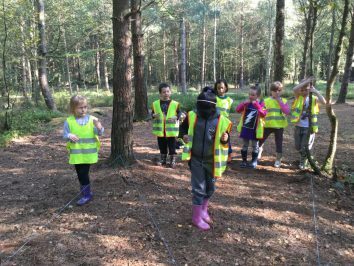 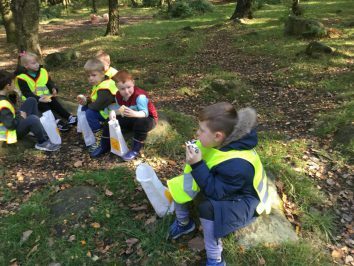 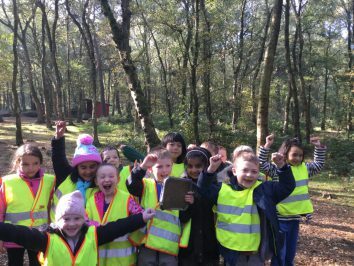 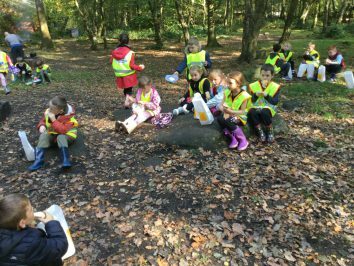 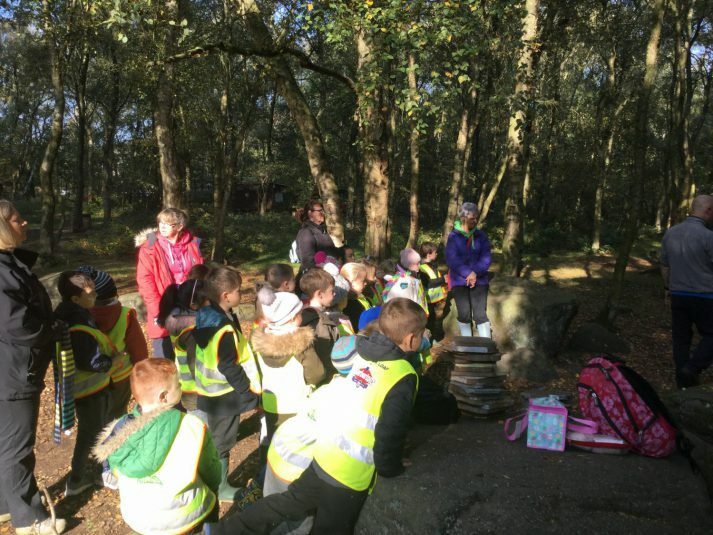 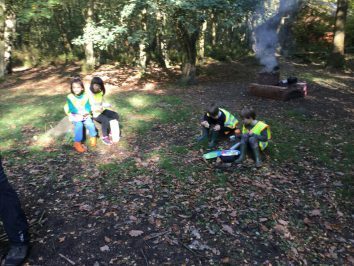 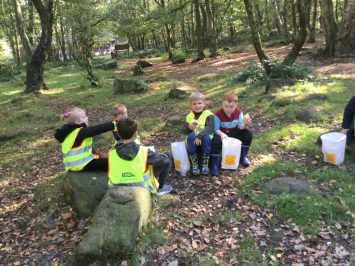 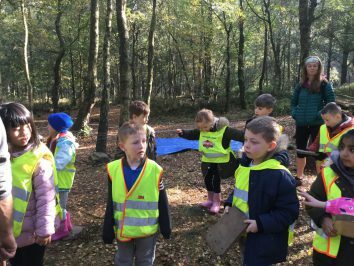 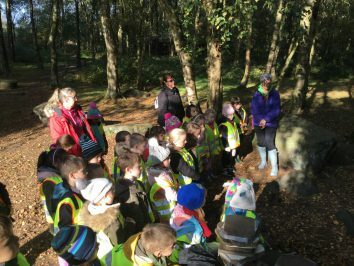 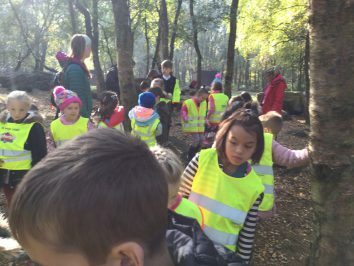 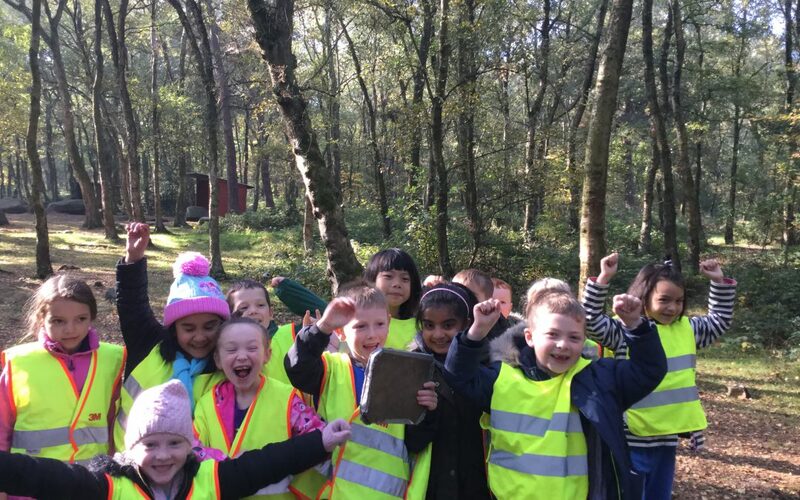 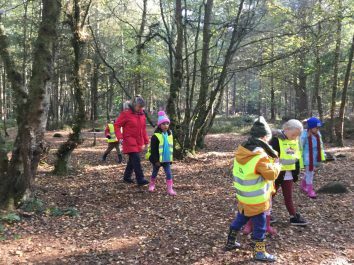 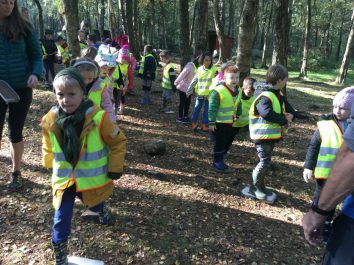 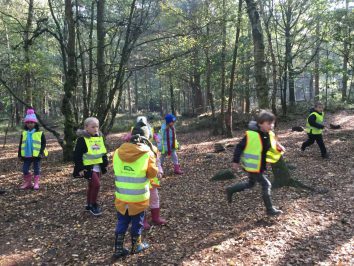 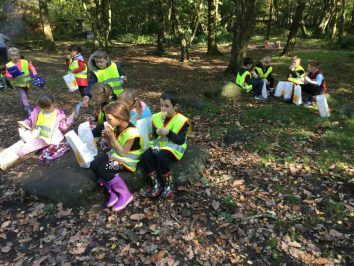 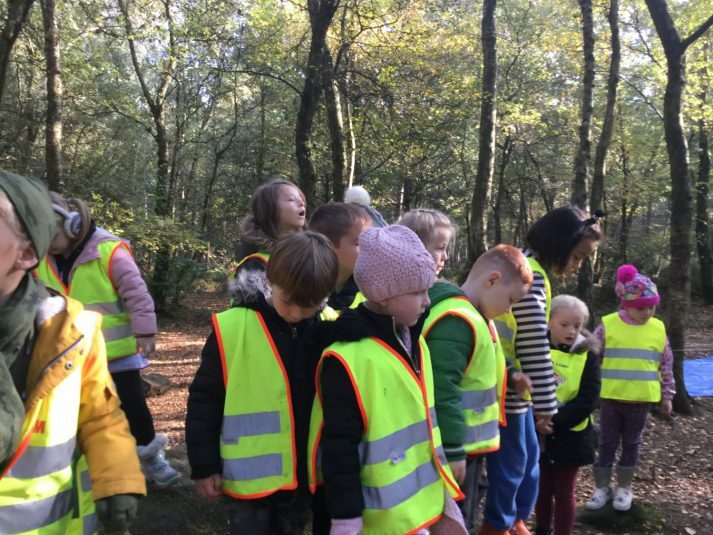 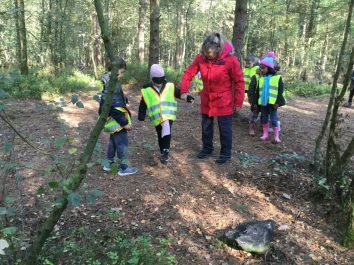 Class 5 had a great time in the outdoors today. 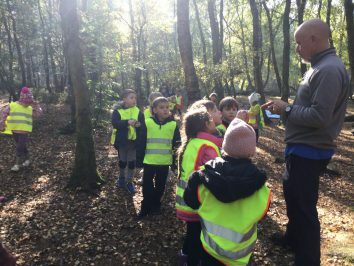 We told Mr Burtoft all about our latest topic, which is Edith Cavell and life during WW1. 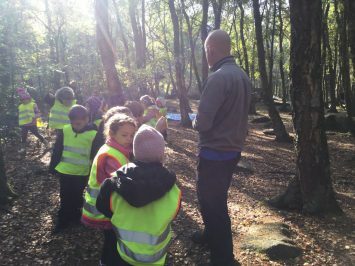 They were able to talk about the trenches and No-Mans’ Land. 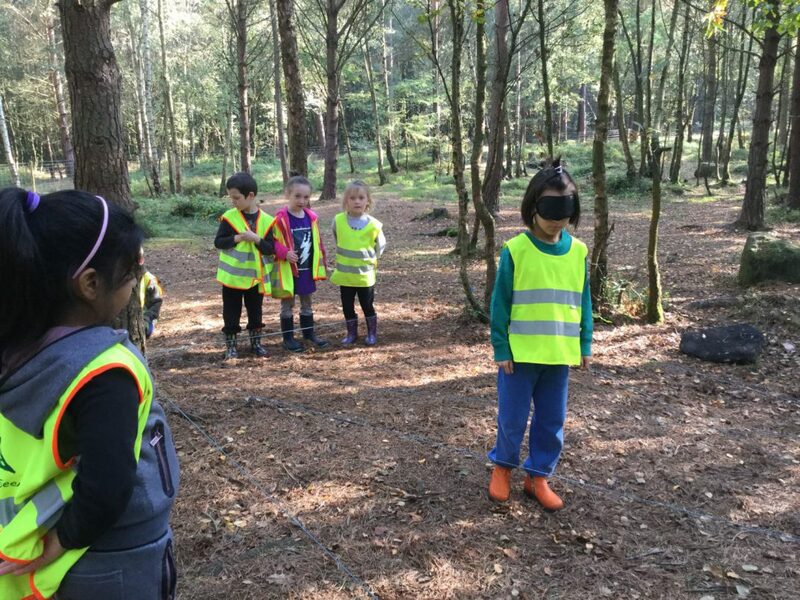 This was super because we recreated some of the exercises that the soldiers would have practised to clamber under or over barbed wire- only we did it blindfolded! 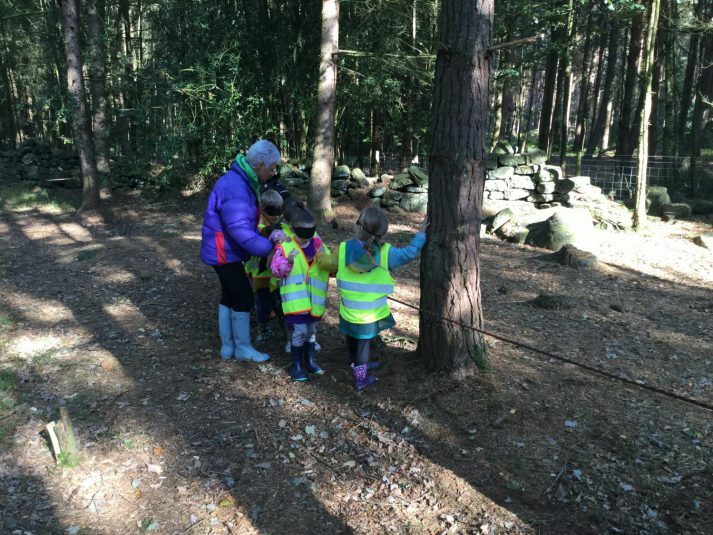 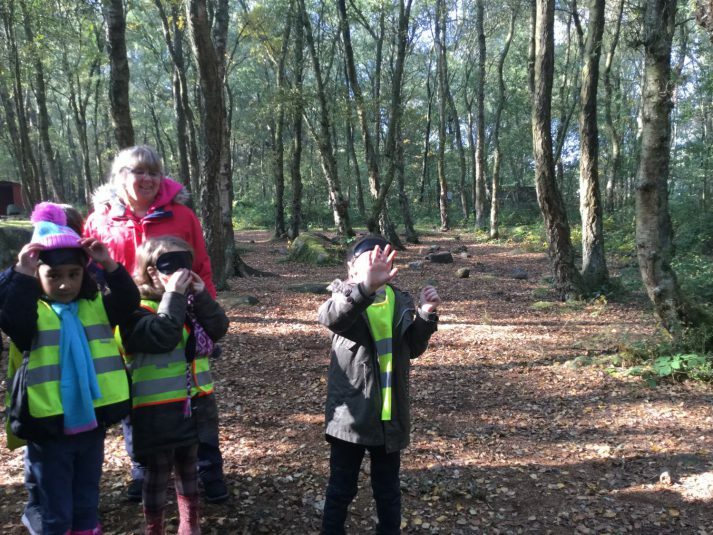 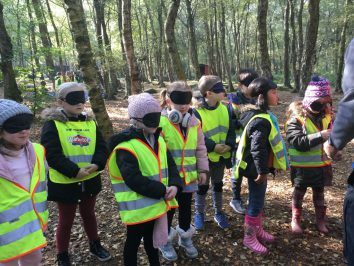 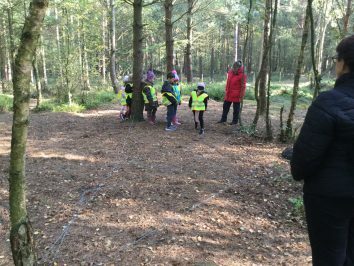 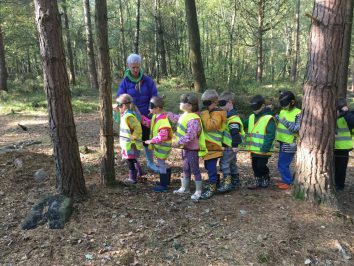 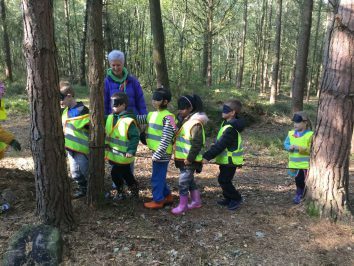 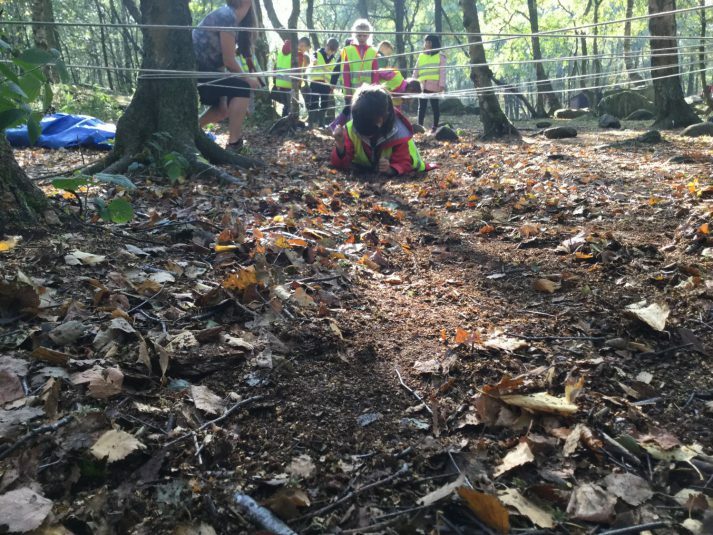 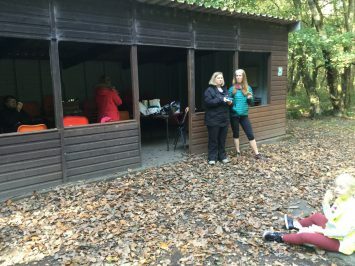 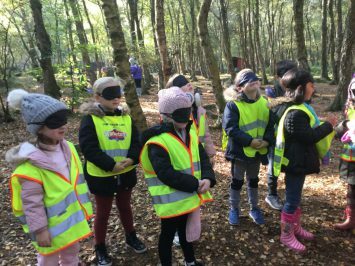 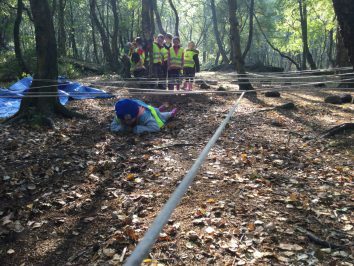 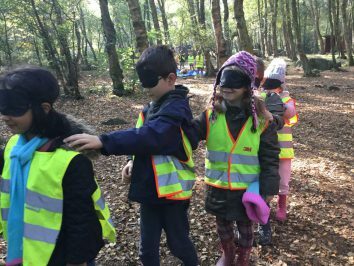 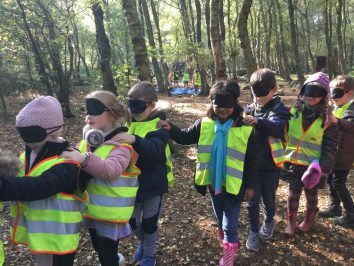 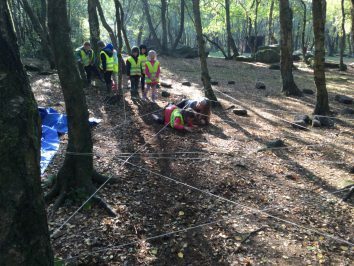 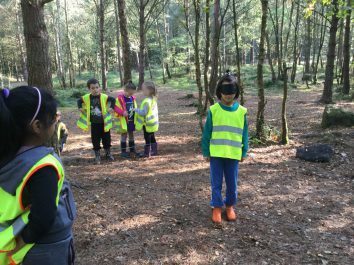 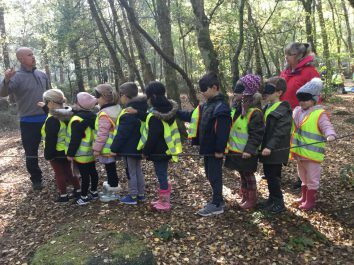 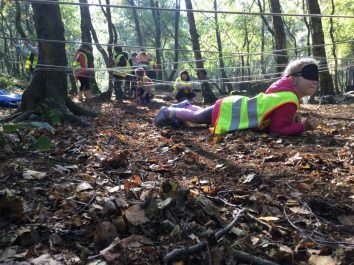 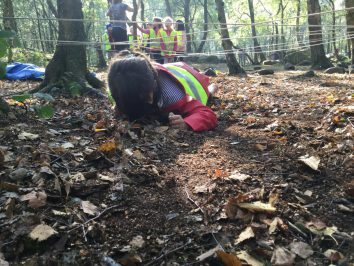 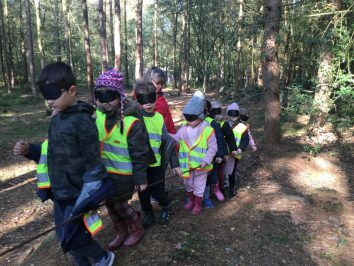 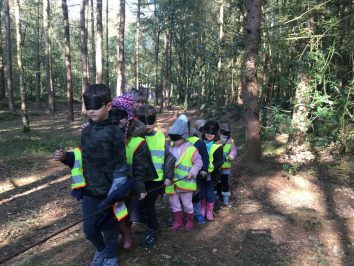 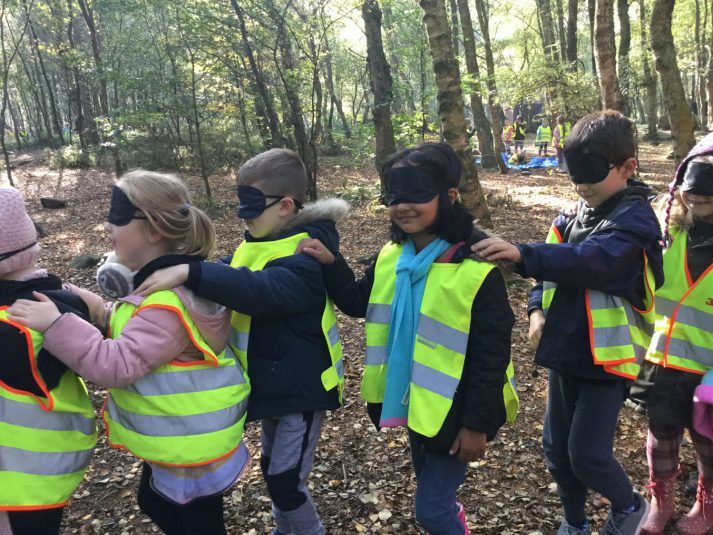 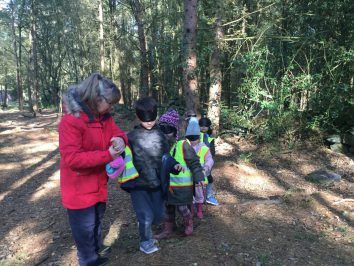 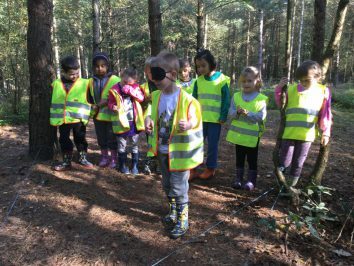 We also negotiated a course through the trees, again wearing blindfolds, to recreate how soldiers would have moved around in the dark, or worse still, after a mustard gas attack! 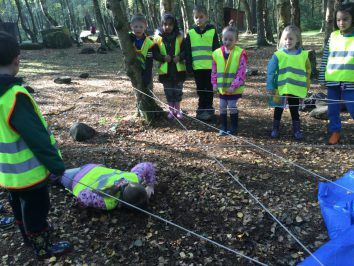 We worked as teams to support each other and give instructions to guide one another. 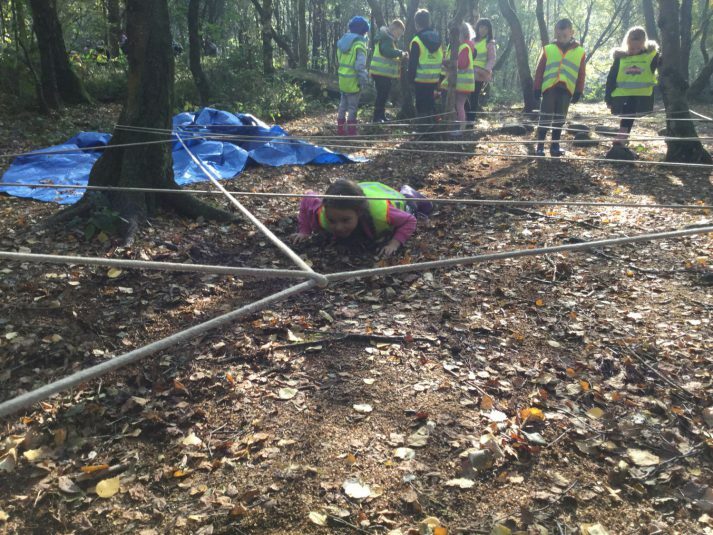 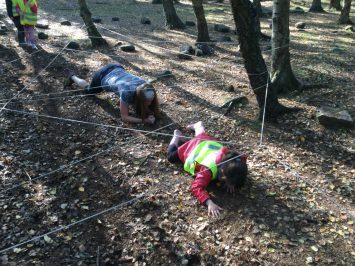 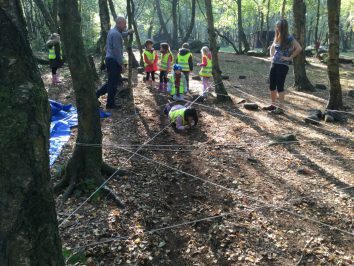 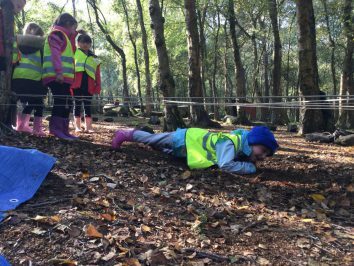 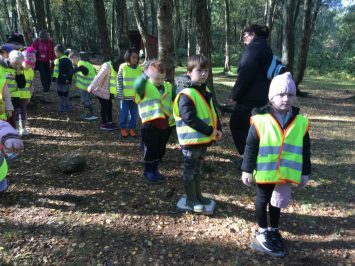 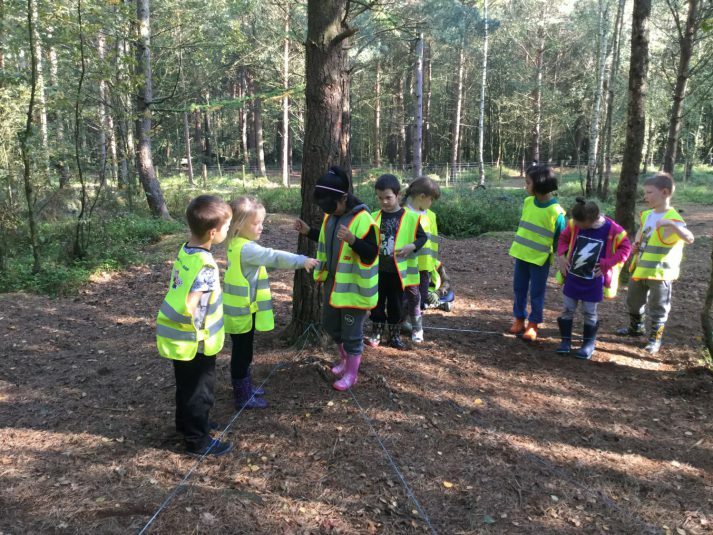 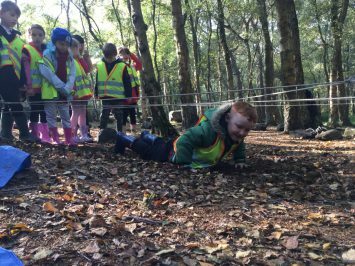 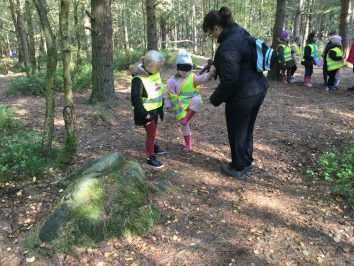 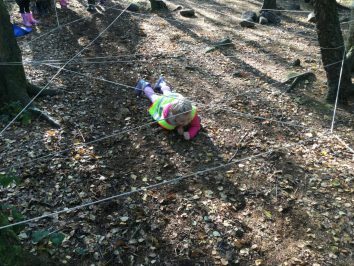 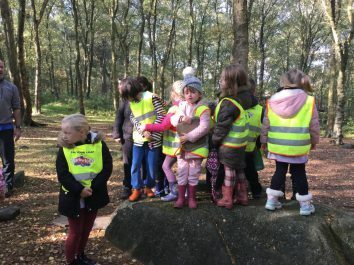 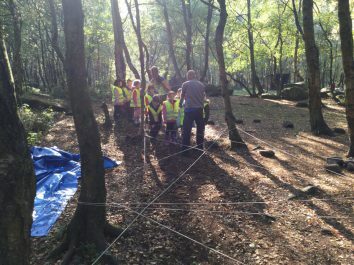 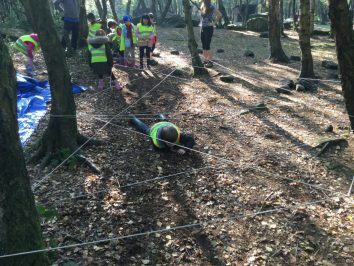 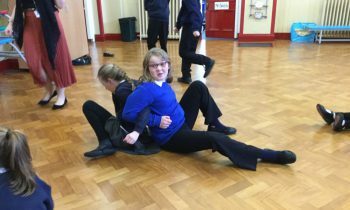 We used our stealth and balance skills to work as a team and cross a ‘minefield’ but don’t worry, no children were hurt in this task- it wasn’t real! 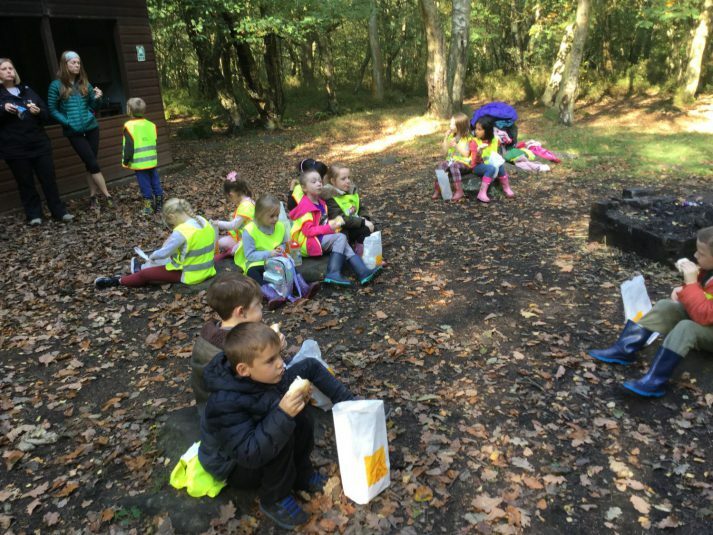 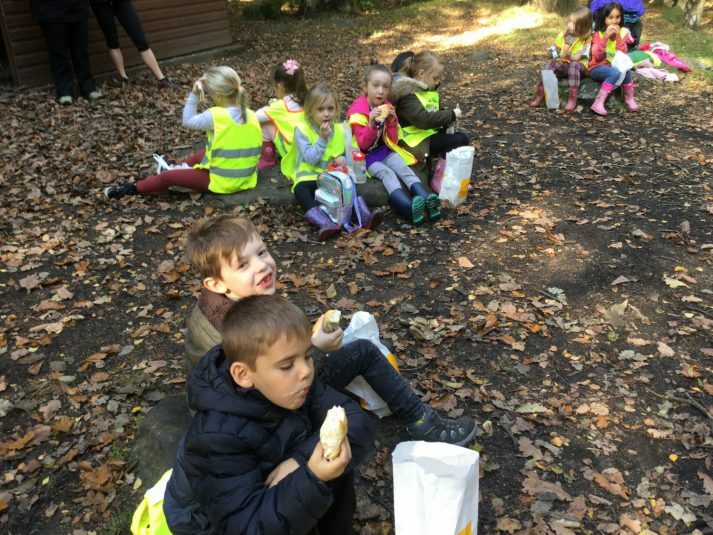 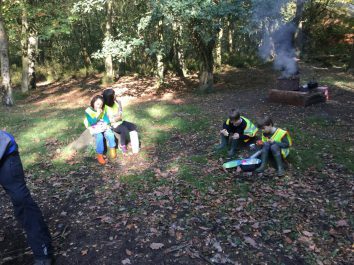 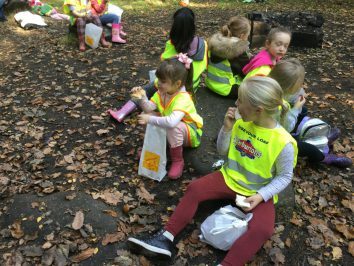 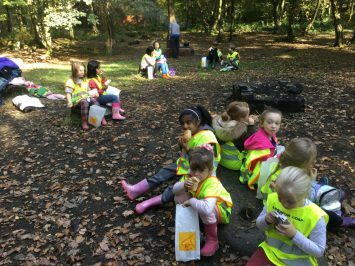 After eating a picnic in the woods, we all enjoyed a delicious mug of hot chocolate. 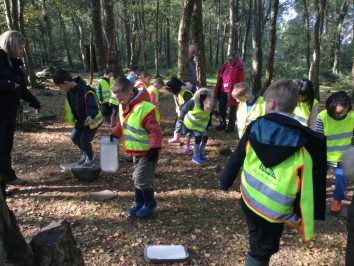 We even had to collect the sticks to burn on a fire to heat the water. 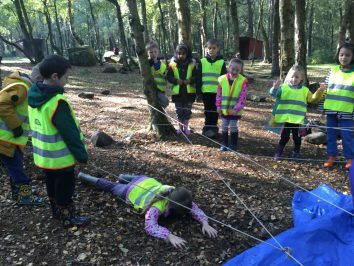 This was followed by an activity involving a rope. 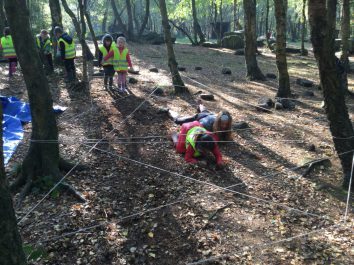 Can you believe we actually created a stretcher to carry a wounded soldier using a piece of old rope? 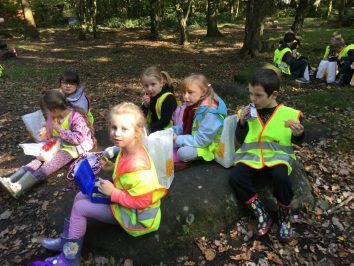 We can’t wait for our next trips.